There in this darkness that has set in at six o’clock in the evening is a village devoid of all that I possess right now. This village probably lies within a hundred kilometers around me, is devoid of electricity, is devoid of any form of artificial light save for the kerosene lamps hung from corrugated ceilings. This village is older than you and I, and dates back to the bygone era of our forefathers. Its houses have been surrounded by woods for eons, and the darkness that falls on this village tonight is no different from the one that engulfed it last year on this day. Every morning since the harvest moon hung low in the sky, men, women, and children alike have been hacking the damp spikelets of rice, maize and corn under the shadow of the forests, gathering them in heaps and waiting for the winter sun to dry them. Every morning for the past many decades, they watch their cattle join the herd on their way to graze in the woods, with the shepherd leading the way. 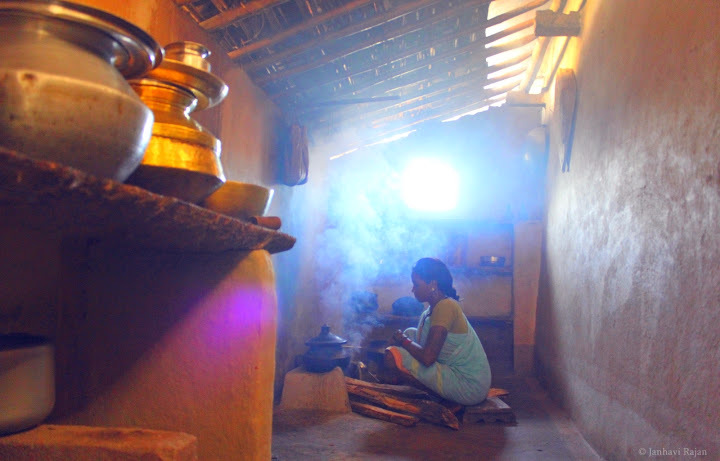 Every morning for the past many centuries, they have been using wood collected from forests, which is the most efficient fuel-wood for boiling water, cooking, and for a hot cup of tea by the fireside. Every morning a cloud of smoke rises from their houses – like sprits from a long forgotten realm – gently settling upon the thatched roofs, slowly disappearing into the forests as sunlight warms the earth. Wheel-trails of bullock-carts still dominate the village roads, and people chew on Neem stick toothbrushes. Come to think of it, everything in this village has fallen into place, like a jigsaw puzzle – every human, tree, and animal, a small piece in the larger canvass of the five elements of Earth – fitting in perfectly. Everything is in-tune with the rhythm of nature, pulsating and proliferating slowly and steadily like blood gushing through veins – veins of its human residents, and of the trees and the animals they share this ground with – intermingled into one superorganism. 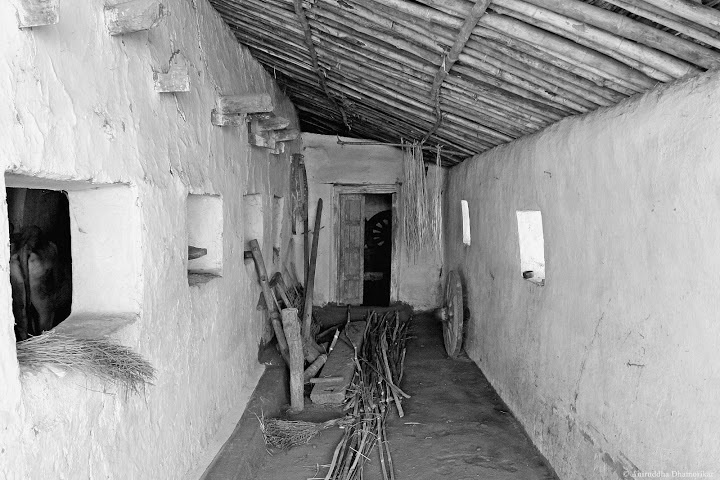 The village has a school brimming with students – girls in their braided ponytails and boys in their summer-bleached attire drown the surrounding sounds of birds and bees in a chorus of English alphabets and numbers and nursery rhymes every morning. They are the future of this village: torchbearers of the dreams of their parents and their forefathers. Some kids are “left behind”, as some people put it; they have been out since before the sunrise with their cattle, herding them in search of richer feeding grounds. They do not spend their time remembering numbers and alphabets. They do not know how to read and to write. But they know how to see and to hear, and to smell and to feel. They know the life in the woods. They have seen a tiger take away their cow, and a leopard injure a calf. And they have seen a deer give birth to a fawn, and a python eating a full-grown stag. They have heard the call of the mother tigress, and they have heard her roar. They know the chuckle of Langurs and the barks of Chital when a tiger is near. And they know the sound of the wind, when it sings of rain, and when it does not. They know the smell of the earth, the smell of seasons, and the smell of the unseen smoke that smites the forests in summer. They know things that are not taught in schools – things that will never be taught through books. They know how to hunt, to fish, to cook and to enjoy a meal under a towering canopy of trees. They are the last remaining children of the earth living a life in the woods that is rapidly changing. And their knowledge of the life in the woods is rapidly eroding. The village elders have always been wary of wild animals threatening to devour a hard work’s pay; rather a hard year’s pay, as they encroach upon agricultural fields and prey upon anything edible: elephants, gaurs, deer, and boars. They have seen people lose their lives while protecting their crop. 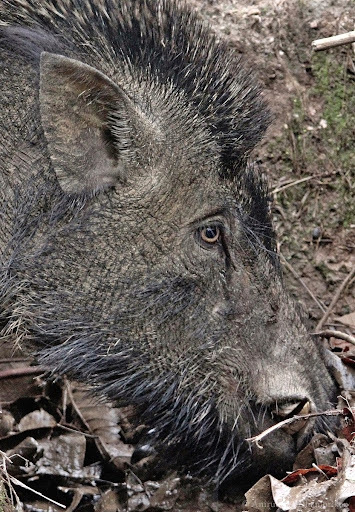 Wild Boars are one of the commonest crop raiders and a farmer's worst nightmare. There are people in this village that know people who were killed by tigers, leopards, and bears; and people who lived to tell the tale. And there are shamans and healers, owl-hunters and magicians who pretend to maintain the pace of fortune and fate and life and death. What I pictured this evening is very much a reality even today. And I am proud of it if I completely exclude the socio-economic complexities of India’s countryside, and as long as the people choose to live in the woods by their own decision. With all the natural and social calamities that have denied this village of chances of prosperity, all that is needed is a tiny spark of unhappiness to truly mar the quintessential harmony that exists here. And that unhappiness, if it ever comes, will come from the materialistic world that lies beyond the forest. In my little time in the cities, and with the littlest experience I’ve had in the woods, I have come to realize that the doom faced by our environment comes not from villages dependent wholly upon forests, but from the materialistic society ignorantly hacking at the sociological and ecological integrity of our forests. 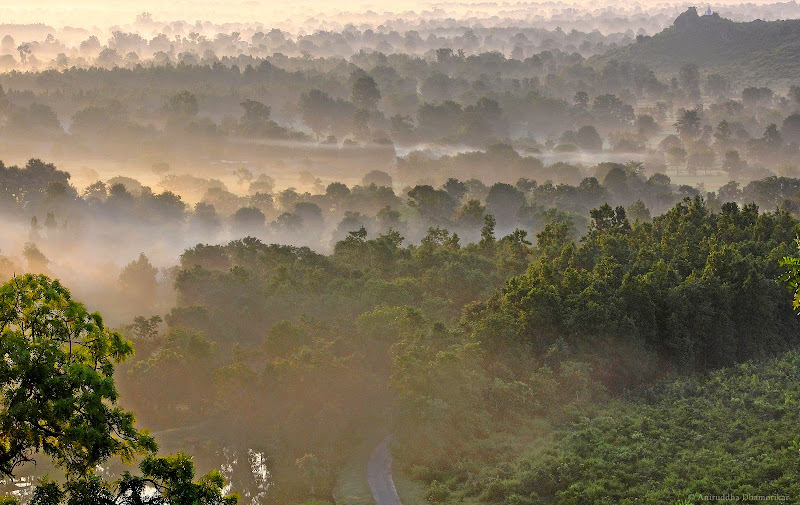 Our countryside and the life in the woods are on the brink of extinction; it is as vulnerable as the tiger. The very problems that push tigers to extinction are pushing an entire culture towards obliteration. Environmental degradation, climate change, global warming, and the total and hapless collapse of natural ecosystems, will arise not from the forest-dependent communities, but from cities, and with it will come the socio-economic tensions of famine and flood, wars and mass migration. And all of this will either hit the villages I talked about the hardest, or they will likely become the most resilient models that urban planners have been searching for all this while in the name of sustainable development. Man and his doings are as natural as they can be, for we do not use godly powers to shape the earth but harvest what power is already available to us. What man is doing is using more and more of it. We are advancing too rapidly over that which already exists. Escaping from these grappling arms of urbanization today is inevitable – they will reach even the remotest corners of the world sooner or later, and they will pursue the indigenous peoples who want to stay away from them, as they have done so in the past and which Ishmael has recounted. ... finding its way to another city waiting to expand. Very nice post.I keenly follow all your posts and was happy to find another reference to Thoreau.What Thoreau has described about human nature and issues 150 years ago is true even today.I don't think human minds have evolved much spiritually. The basic fears/insecurity/jealousy/comparison etc have never changed.Only the technology and hence context of looking has changed - not the underlying truth. I really envy you for your way of life.Wish I could lead a similar life.Right now I am trying to stay as detached as can while being away from Woods!! I think someone who really understands and likes Thoreau's point of view -does not need to read much but practice as much as possible. Thank you for your kind words Alok. I hope you will get chance to be as detached as you can while being away "into" the woods. :) And I agree - someone who has experienced the Thouruvian life will be the one who'd read and understand Thoureau.